Yes, yes... I realise that this report is over a month late (the Vitality Show was on the 21st March! ), but I have been a little busy lately so thanks for sticking with me! The nice people at Maxitone had sent me some tickets to the Vitality Show taking place in Earl's Court in London. Unfortunately they were weekday tickets and as the show closed each night at 6pm I wasn't able to get along. Luckily, the awesome company that is Wholebake who make the amazingly delicious drool-inducing 9Bar, (which I scoff on a regular basis! ), were also giving away tickets and I was very fortunate to receive a pair of weekend tickets - rock on! So, that afternoon my lovely friend Gemma and I rocked up, albeit it rather late (my fault!) at the show. First we went to see Mark Gould (MD of Wholebake) to say thanks for the tickets and to make some important 9 Bar purchases.... ooooh yeah! I'd eaten one of their pumpkin bars the day before and it was so tasty I practically inhaled it!! Seriously, I was going to photograph it like I usually do but it was gone before I'd blinked! I think my favourite flavour is the Flax one though... that might just be because it helped more or less resurrect me from my self-induced-hangover-from-hell deathbed. 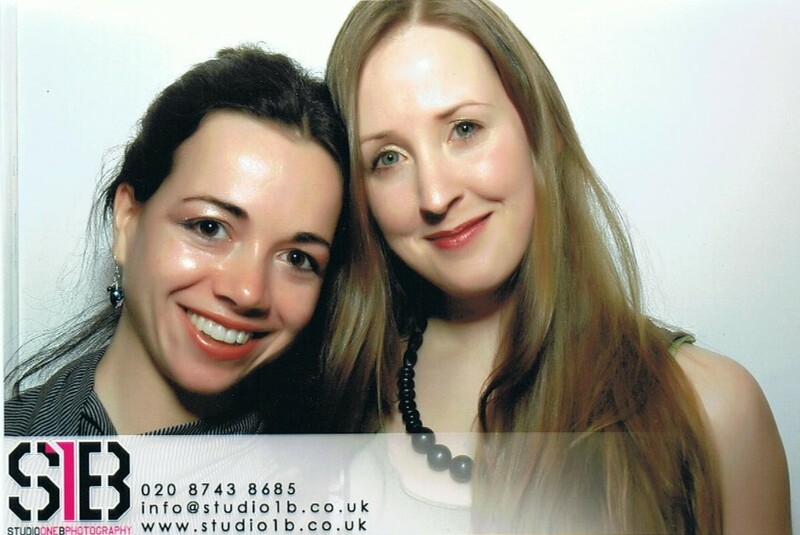 Next Gemma and I nipped over to the Studio 1B stall as I'm quite keen to get some more pics taken as I (think I!) look very different to how I did at the Maxitone Body of 2009 photoshoot, definitely in the arms at least! At first we were both thrilled with the picture but stood there looking/feeling slightly bemused... what was odd about that pic?! Not sure how to feel... I mean I like the pic, it looks good and it's definitely me, but I guess I felt slightly insulted that they'd just gone ahead and computerised all my imperfections away without prior warning haha! So now I'm not sure if I want the photoshoot anymore, will I be photoshopped? Will it be a true representation of me or just somebody else's interpretation of how I *should* look?! Next I was conned into buying an EFX wristband which I feel a bit of a wally about. I fell for their Balance Test 'proof', and the testimonials of people claiming to have had their pains relieved and, in particular one person who said their tinnitus had cleared up - something I've been suffering from for about a year now. Obviously it didn't cure anything and I'm now going to see an ENT specialist in a few weeks... wish I'd just done that earlier and saved myself spending £25 on what is a not unattractive, but still utterly useless, piece of black and pink rubber!! I'd read (in Men's Fitness I think) that Japanese Green Tea boosts your metabolic rate by quite a decent whack so thought I'd try it out. I have plenty of green teabags so was keen to try the powdered stuff as they'd expertly mixed it with apple juice and it did taste rather lovely. 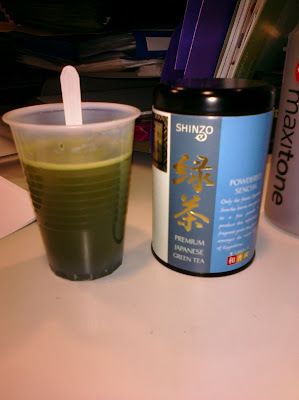 If you mix it with water it's not entirely hideous, but does taste like you're eating the two day old remnants of a mowed lawn. Next onto grab me some Bear Nibbles! Has anyone eaten anything from this company before? Their stuff is lovely and super healthy too! The fact that there are so few ingredients on their packets speaks volumes! Man these are delicious! They're under 100 cals and sugar-free! 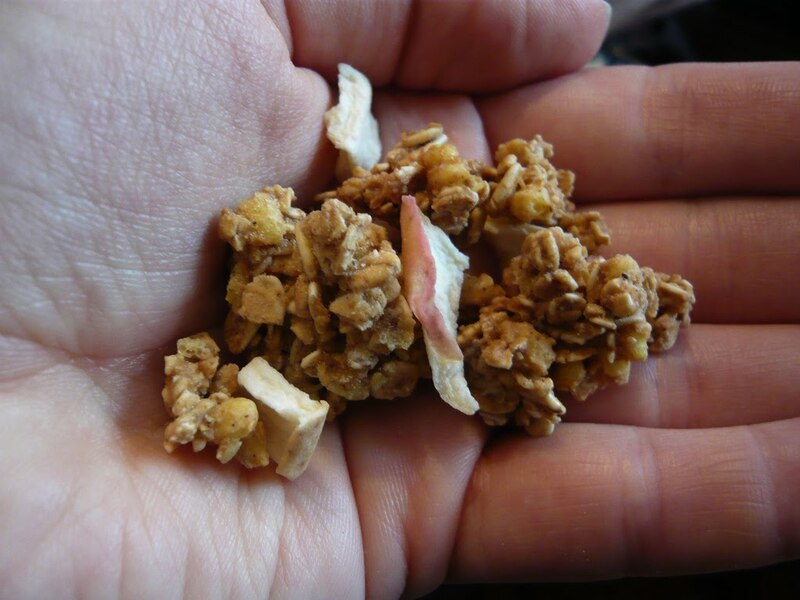 You can add them to things like 0% fat greek yogurt to make a much healthier version of the crappy synthetic chemical and sugar pumped offerings you find in the yogurt section of your local supermarket! That's the Apple Crumble version, the Cocoa Cherry Pie is also really tasty, the cherry pieces are so cute and they look, and taste, like they should be unhealthier than they are!! I also picked up a couple of packets of their mango pineapple Fruit Nibbles which are just divine! Gemma and I carried on browsing round, tasted some yummyness but didn't really get tempted by anything else until I got to a cheese stall where they were selling off humungous lumps of half fat extra mature cheese for £2!! I bought one, of course, it lasted forever and I can safely say it knocks spots off the Sainsbury's Davidstowe 1/2 fat cheese which is the only other low fat cheese I can stand! I can't remember the name of the company who made the cheese - dammit! I really want to get some more... might contact the organisers of the show to see if they can send me some details! 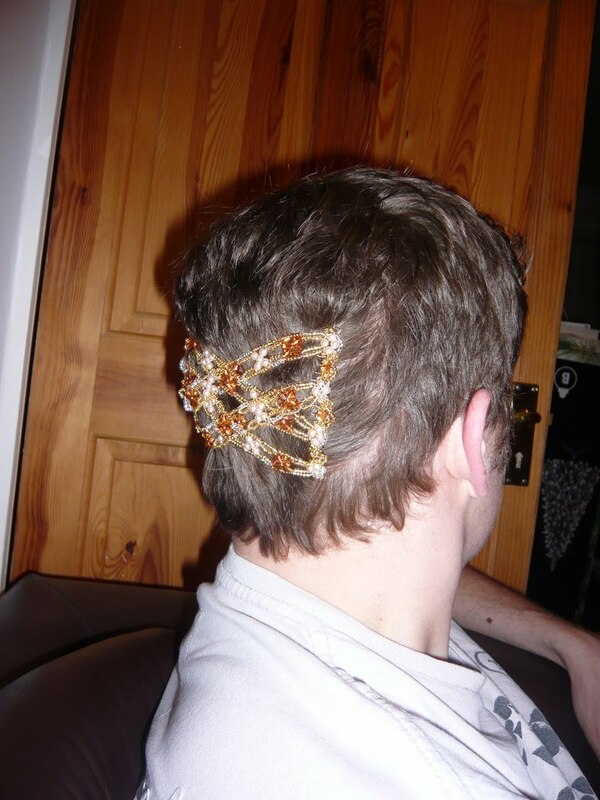 So, all showed out, Gemma and I decided to beat a retreat... however, our plans of escape were soon scuppered by an energetic and enthusiastic Swinky girl, eager to make a last-minute sale, who managed to ensnare us with talk of beautiful hair accessories and live demonstrations of such. Damn this girl was good! Er........I was actually disappointed when I read this. 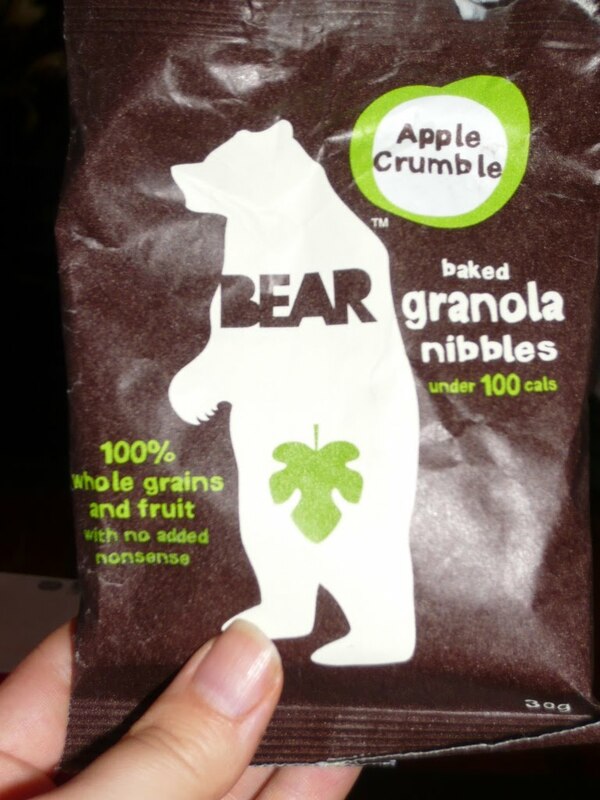 Er.....I thought the Bear Granola Nibble thingies would be bear shaped! GUTTED that they aren't! I also now feel stupid for thinking that they would be..
not silly though... I think pom bears are in the shape of their namesake! Ahhh my mum was almost talked into an EFX purchase at a outdoor leisure show we went to recently but I was convinced that the 'test' they did on her was probably all psychological, like a placebo effect where because she had the band on she subconsciously forced herself to be more balanced (or something like that). I managed to convince her that if she really wanted one then they'd probably be cheaper online, mainly because she's the worst person to get swept away by sales pitches and can't afford a £25 band! I'm such a spoil sport!! !